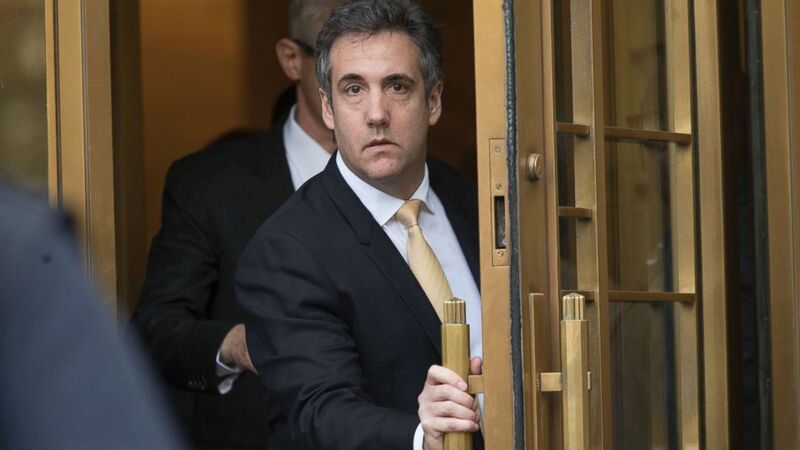 Michael Cohen, President Trump's former personal attorney, mysteriously arrives in Washington, D.C.
Michael Cohen, President Trump’s former personal attorney and close associate, arrived in Washington, D.C., Monday morning, accompanied by one of his own criminal defense lawyers. The purpose of Cohen’s travel is unclear, and Cohen declined to answer any questions from ABC News about why he was there. Cohen has previously participated in multiple interview sessions totaling more than 40 hours with investigators from the office of the special counsel Robert Mueller in Washington, D.C., and federal prosecutors in New York City, sources have told ABC News. Sources familiar with the matter also say that the special counsel’s questioning of Cohen has focused on Trump’s alleged ties with Russia and the investigation into the Trump campaign’s alleged collusion with Russia during the 2016 presidential election. 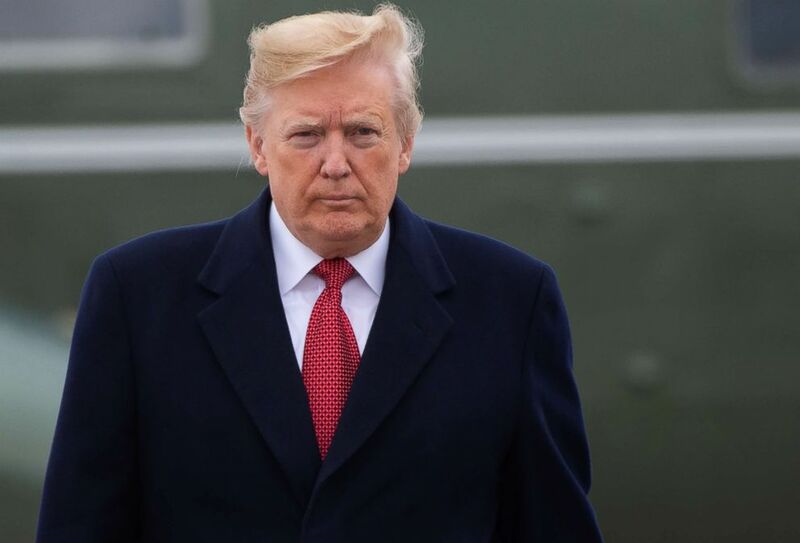 President Donald Trump arrives to board Air Force One at Joint Base Andrews in Maryland, Nov. 9, 2018. Cohen’s participation in the interviews has been voluntary and without the promise of leniency from prosecutors, people close to the matter told ABC News. He is reportedly also voluntarily meeting with lawyers from the New York State Attorney General's office and the District Attorney's office in Manhattan. Those discussions, sources say, have been focused on the president's business and his family's charitable foundation. In August, Cohen pleaded guilty to eight felony counts, including tax evasion, making false statements to a bank, and campaign finance violations. The two campaign finance violations are connected to Cohen's role in alleged hush money payments during the presidential campaign to two women who allegedly had affairs with Trump years ago. Trump has denied the allegation and maintained that he did not know about the settlement agreement until after it was signed. Trump only publicly acknowledged awareness of the payments after his lawyer, Rudy Giuliani, said in April on Fox News that Trump paid Cohen back for the costs associated with the Stormy Daniels deal. Giuliani contended that the payments were for purely personal reasons and that no campaign finance laws were broken. At a plea hearing in August, Cohen told a federal judge that the payments to the women were made "in coordination with and at the direction of a candidate for federal office," referring to Trump. "I participated in this conduct," Cohen said, "for the principal purpose of influencing the election." Trump has long denied having affairs with the women. Cohen is scheduled to be sentenced in federal court in New York on Dec. 12.